Get ready, be prepared …. ..
the eastern direction in the few past weeks to the level we notice the “waver” between the east and the west and on Wednesday the 30th of July the planet movement stopped going toward the eastern direction. Then in the months ofAugust and September. Mars changed its course in the opposite direction to the West and that until the end of September. Which means the sun will rise now from the west on Mars!! wiil move in the opposite direction some day and the sun will rise from the west!! This might occur soon and we are unaware! Therise of the sun from the west is mentioned in the haclith and this is the major sign of The Day of Judgement, most it not all, the minor signs have occured. Wake up. Our beloved messenger Mohammad (Peace Be Upon Him) said. 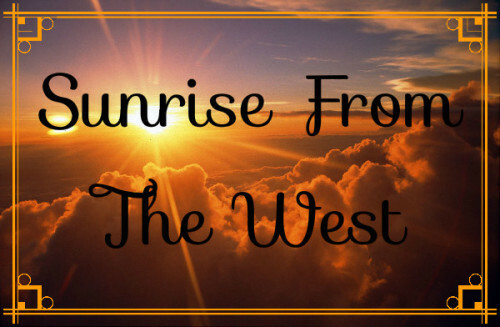 “One of the signs of the hour: the sun will rise from the west, where no longer tauba (forgiveness) will be granted”!! And the strange thing,‘ most of our Shariah scholars mentioned that the rise of the sun from the west occurs only once, on that day the sun will rise from the west. Then again from the east and continues until Allah wishes and this is similar to what is happening to Mars. It stops, then it changes its course of direction for a short period of time. Then returns to way once it was. This piece of news is very important as it brings with it a great sign of warning and remembrance of the coming of a new WORLD – the world of the Hereafter. And it is also good material for calling others to ALLAH – whether for Muslims, the unwary of us or the kufar. When we show this hadith that was told 1400 years ago about this miracle, you will see Insyallah, a lot will enter lhis beautiful religion. And the Muslims if they see this phenomena happening in Mars. Who knows maybe it would bring them closer to our CREATOR.